According to the World Health Organisation (WHO), being respected and appreciated by others is one of the most fundamental human needs. What do you do when a colleague is difficult? It’s very rare to find a job where you work completely alone at all times. Indeed, many of us work with a great number of people on a weekly basis. You may be lucky - in a team or company where most people are collegiate and pleasant. But how do you react when a colleague is repeatedly awkward? I’m sure you’d agree that none of these options are acceptable in the long run. When you experience unpleasant behaviour, it’s normal to react instantly and instinctively. This is often not effective, and can be quite destructive. But can you step back and identify what lies behind the difficult person’s outburst? Unpleasant behaviour typically falls into one of four camps. Next time you come across it, imagine you are standing outside the interaction and watch or listen to what’s going on. Pretend you are hearing the conversation on the radio, or you are observing it as a “fly on the wall” and try to uncover what kind of behaviour you are seeing or hearing. Is it BLAME? Typical examples of this would be aggression, bullying, or excessive criticism. Is it CONTEMPT? You might experience this as disrespect, being “talked down to”, or being undermined. Is it OBSTRUCTION? This often presents as avoidance, passivity, disengagement. Is it DEFENSIVENESS? Here you may encounter excuses, deflection, and resistance to feedback. Once you identify if you’re dealing with blame, contempt, obstruction or defensiveness it’s time to get curious. Can you understand where the individual is coming from? What has triggered their behaviour? Is there something that you are doing that exacerbates the situation and makes their behaviour worse? If you encounter blame, use your curiosity to probe what’s really going on. Try to stay calm and pretend you are impartial. Set out what you would like them to do differently, rather than focusing on the negative behaviour, otherwise you risk being sucked into a mutual blame game. If you experience contempt, stay polite. Don’t match contempt with contempt; instead role model the behaviour you want to see. Be respectful yet firm. Identify the unacceptable behaviour and tell your colleague how it affects you and others around them, and then tell them what you’d like them to do differently in future. If obstruction is present it’s easy to get riled by a lack of communication. It may help to recognise that the awkward or silent person has just as valid a role as a noisier colleague. What are they trying to tell you about how your relationship with them or their relationship with the team is working? Once you’ve explored this as much as you can on your own, share with them the impact they have on you and others, and invite them to comment on your observation of the possible reasons for their actions. When you see defensiveness, it can be useful to look for the grain of truth in their argument. What is there about their position that could possibly be true? If you can step into their shoes and acknowledge they may have a point it can help to shift your own perspective, and certainly help to see them as less of an irritant! And you may be surprised by the impact that your mind shift has on your relationship with them. So next time you’re in a difficult situation – with a colleague, a client- or even a family member, give it a try. 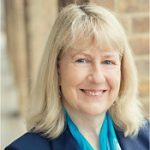 * Amanda Cullen is an executive coach, specialising in helping leaders to step up to their full potential. Amanda is an associate of Voice At the Table. Read more about Amanda here.